Pittsburgh’s nightlife hasn’t been the same since the closure of the numerous clubs in Station Square, which is now a parking lot. Whim had memories. If you went to Whim and couldn’t find something you liked, you just needed stay indoors but with that void comes great opportunity. Nashville based Tequila Cowboy saw that opportunity and immediately seized it. Tequila Cowboy has country bars/nightclubs in Michigan, Nashville, Columbus and now Pittsburgh. Yesterday they opened and although the people who liked the page never actually got an invite, they still showed up and it was well worth it! From 5-9 all well drinks and drafts were free and it was awesome! As a fan of the former ABC Family hit Nashville, I had high hopes for this place and they exceeded my expectations. Walking into the establishment, I was immediately aware that Pittsburgh didn’t have anything like Tequila Cowboy. It reminded me of the many Texas clubs I’ve encountered while briefly living there a few years ago. What makes Tequila Cowboy special is the fact that it’s several bars in one. The main bar features a mechanical bull , which is loads of fun and no worries about dying because you’re surrounded by a sea of foam. Then if you keep walking you’ll enter WannaB’s; this karaoke bar is a great time and you’ll soon learn that if you don’t know how to sing you’re good and if you don’t know a country song just pick what you do know and the DJ will kindly play it. The staff here is so friendly that they’ll have you coming back even if they don’t have free samples in tow. Although, they didn’t offer any food you could buy I did try the boneless chicken bites, which smelled spicier than they appeared (thank goodness) and me and my girlfriends devoured them. After you get tired of the mechanic bull, the live band, the karaoke at WannaB’s and the dance floor do indulge in their crazy long selection of drafts on tap. I loved the fact that Tequila Cowboys included local craft brews even though I preferred Angry Orchard. I was glad to have options. Not one staff member made me feel out of place and I was shocked on my way out and noticed that their patio has a fire pit, which will definitely come in handy on cool Pittsburgh days. It’s one of three nightlife places that has a fire pit which is a huge bonus. After enjoying the live music, the guitars on the ceiling, the awesome drinks, the dancing and the mechanical bull, I will definitely be checking out Tequila Cowboy again. I have a bone to master that mechanical bull even if the staff is managing it! Pittsburgh needed a great dance floor and Tequila Cowboy saw it and seized it. 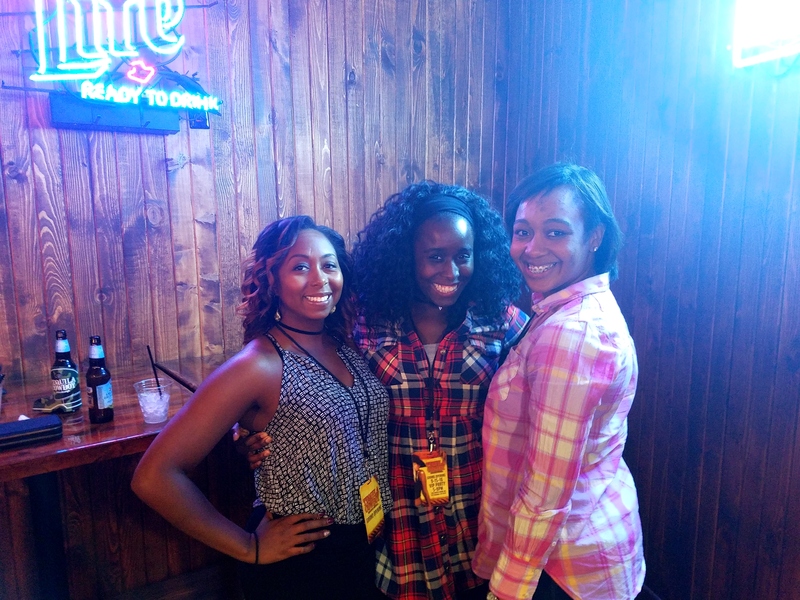 Shout out to the bartender Marilyn (sorry if I spelled your name wrong) for definitely being so kind and ensuring we had a great time. The Colorado transplant would’ve fooled me with her kind Pittsburgh spirit. 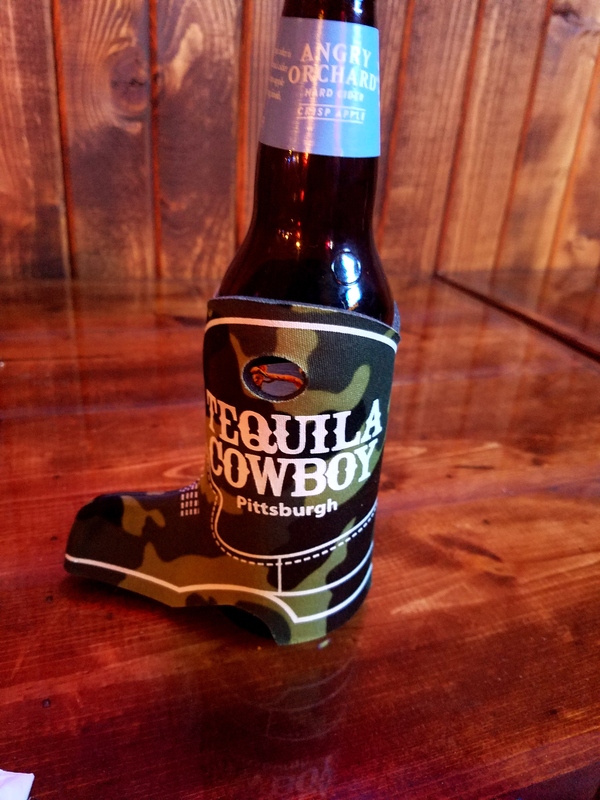 Tequila Cowboy pretty much has no competition when it comes to Pittsburgh nightlife. They have an array of bar food on the menu, live music and anything you can ask for in a venue. Every opportunity does have a shelf life and these guys did not let it expire. 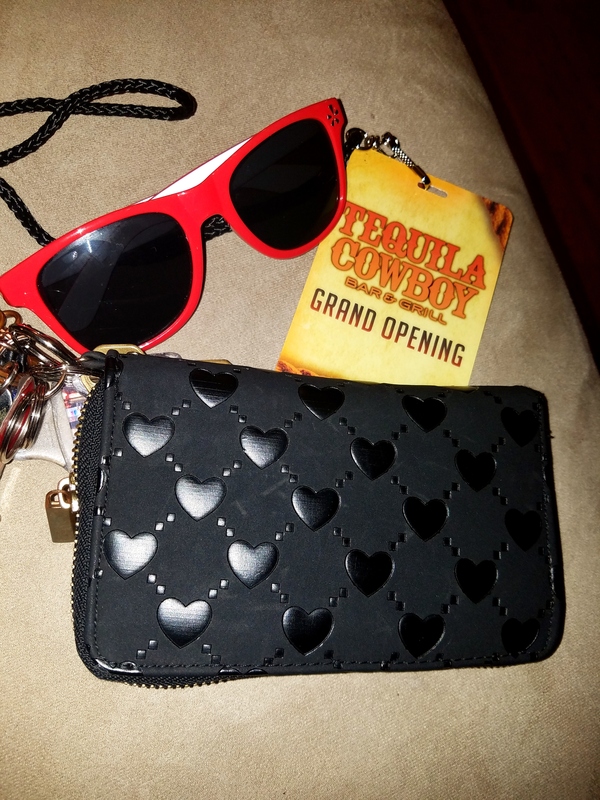 Did you check out Tequila Cowboy?